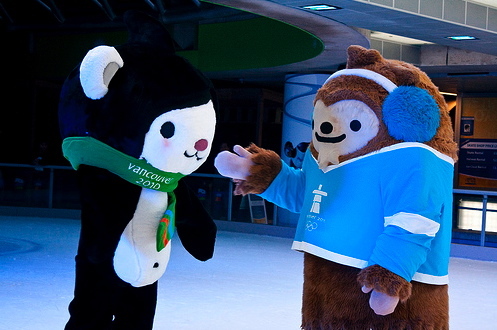 Last Wednesday the mascots had a brief skate at Vancouver’s Robson Square ice rink. Kendra Coupland of Redivivus Photography was on hand to capture the action — see more on her swell flickr set. 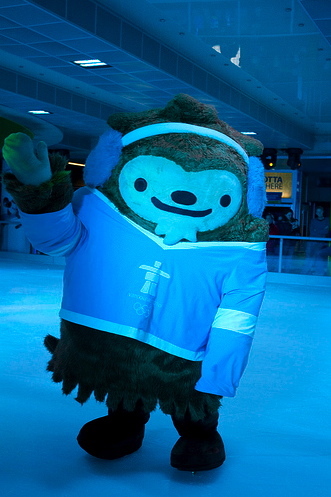 Until now, I had no idea that Quatchi’s hockey sweater number is 10.